Already available on the iPhone, Flight Control puts you in one of the world’s most stressful jobs: air traffic controller. 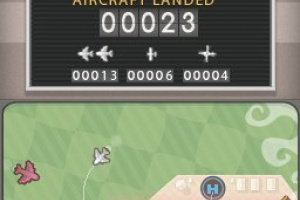 Charged with landing all flights safely, you have to plot a path for each incoming aircraft towards its designated landing zone, naturally making sure to avoid collisions. 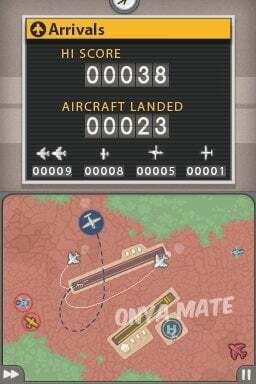 What begins as a straightforward exercise in drawing lines soon becomes an intense..
Keep the skies safe on your Nintendo DSi with the insanely addictive Nintendo DSiWare download Flight Control! 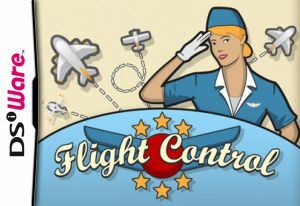 In this action-packed game, you will take on the role of an air traffic controller at an increasingly busy airport. 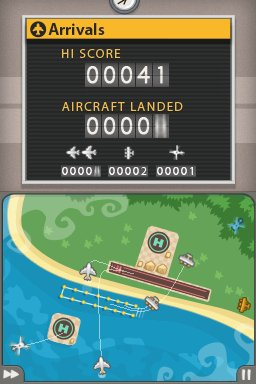 In complete control of the airspace, you must direct aircraft to their appropriate landing zones while avoiding collisions. You’ll travel to airports set among green fields, a beachside resort, the Australian Outback, a winter wonderland and even an aircraft carrier. 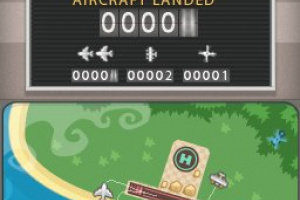 Learn how to land ten different kinds of aircraft, including jets, seaplanes and helicopters. 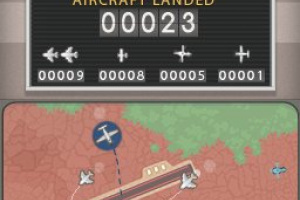 To direct aircraft, simply touch and drag them to their landing zones with the stylus without letting them collide. Sounds easy? 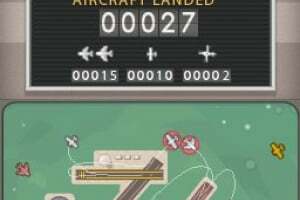 As planes begin to arrive thick and fast, you’ll need smart strategy, keen eyes and a smooth touch to keep the chaos under control! You can even work alongside a friend in cooperative multiplayer mode, and guard the airways together. 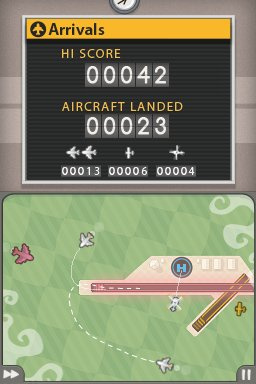 Thanks to an in-game tutorial, Flight Control only takes a minute to learn – just don’t expect to put it down as quickly as you’ll pick it up! MUST BUY! I have it for the iPhone. It is fantastic. Yes. 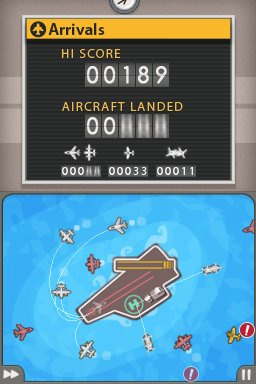 They have been leaving multi-player out of a lot of DSiWare games. 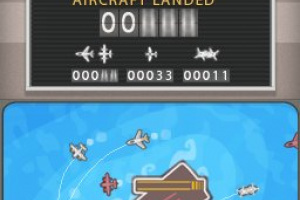 This game is a curse. I downloaded it in my iPhone and I barely have time to do anything else. 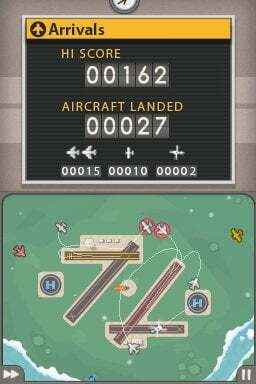 If its free for iPhone, it should be free for DSi. I'd rather play this on DSi because it uses a stylus. On iPhone, my fingers get in the way of the view. just bought it. its very cool and challenging. the game is based on a cool simple idea with very well done presentation. brilliant! controls are good. ( I actually wonder how people play this on iphone without stylus.) So I just wish Firemint Good Luck with this one!